Fukushima rice: even the farmers wouldn’t eat it! This entry was posted in contamination, Fukushima, Fukushima food on October 17, 2013 by citizenperth. Kenichi Hasegawa, Farmer from Iitate Village in Fukushima Prefecture, Canberra Forum, March 13, 2013 After the nuclear accident, all over Iitate village, plutonium and strontium were detected [40km from nuclear plant]. […] And then something unbelievable happened. Authorities started bringing many [hygienists or dentists?] to the village […] these doctors started doing this local safety campaign. They kept telling us, “It’s OK, it’s safe, there’s nothing to worry about.” […] The day before the evacuation order was announced, the professor from Kyoto University called Professor Imanaka came to the village and did a thorough research monitoring of the radiation levels. And Professor Imanaka, he was just astonished, “Something terrible, dreadful is happening. The radiation level was so high; I can’t believe people are still living here.” […] So Professor Imanaka brought his data to the mayor and said, “You guys should evacuate immediately.” But the mayor’s response was, “Please do not disclose this data to the public.” Instead he said, “Is there any way to live with this radiation?” The village authorities only were interested in protecting the village itself, not the people. This entry was posted in contamination, Fukushima, plutonium, radiation on October 17, 2013 by citizenperth. Don’t worry about us and enjoy your Olympics ! 0.56 uSv … inside a house … 1m off the ground. You really think the children are safe in this environment. Abe san and the rest of the clowns in the Japanese government think so. Do you ???? What are we gonna do about this ? That is if these children stay inside that house for a whole year. It is safe to assume that outside in this area, it is much “hotter” than 0.56 i.e going to school. So add to this measurement, accumulated radiation from the outside, add the accumulation breathing hot particles, add accumulated contaminated food they are FORCED fed at school. This is continuous and been going on for almost three yrs now. Don’t worry about us and enjoy your Olympics ! 0.56 uSv … inside a house … 1m off the ground. You really think the children are safe in this environment. Abe san and the rest of the clowns in the Japanese government think so. Do you ???? 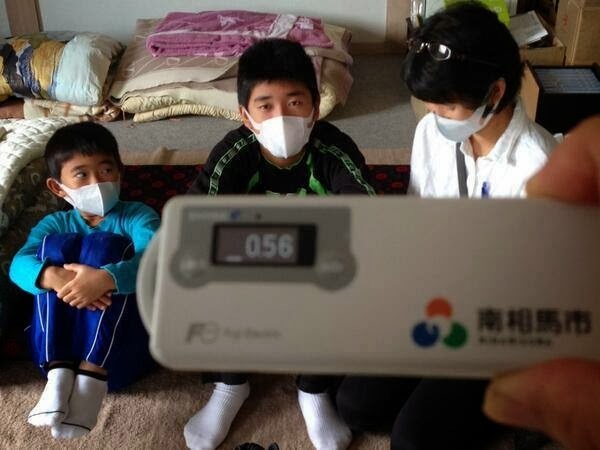 This entry was posted in contamination, Fukushima radiation, Geiger counter on October 6, 2013 by citizenperth. This book by Ace Hoffman is a ‘must read’ if you are following the situation if Fukushima. You should have by now read it, or if not, it is a free download at his site. Scary stuff, fact based, well resourced. 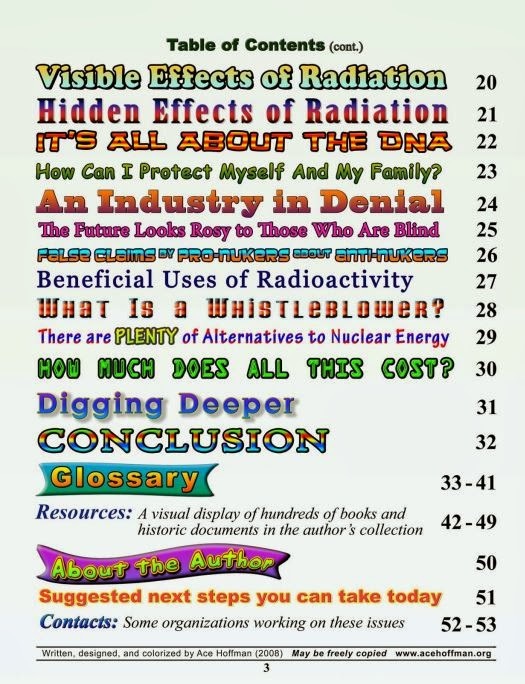 Written in 2008, it sums up Fukushima well… basically every worst case scenario has already happened, and when the book was written these were all hypotheticals. This entry was posted in atomic, contamination, Fukushima on September 28, 2013 by citizenperth. Spent fuel pool four fires? Plume gate? As argued, Unit 4 is under alot of scrutiny. The Japan Atomic Industry Forum at http://www.jaif.or.jp/english/fukushima/plantstatus201103.html provides links to its “Reactor Status and Major Events Update – NPPs in Fukushima (Estimated by JAIF) March 2011″. Earliest date provided being Update Number 2, Tuesday March 15 2011 at 10.30 hours. 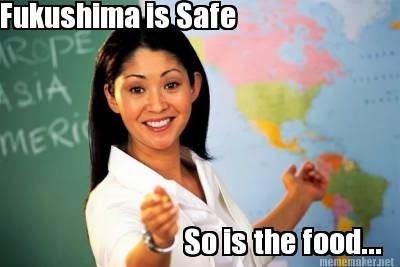 This status update states that Reactor 4 is “safe”. This report notes the evacuation zone is 20 kms from the NPP. 30mSv between Unit-2 and Unit-3, 400mSv beside Unit-3, 100mSv beside Unit-4 at 10:22. It is estimated that the spent fuels stored in the spent fuel pit heated and hydrogen was generated from these fuels, resulting in the explosion. TEPCO later announced the fire had been extinguished. …IN none of the reports is it concretely stated that fires were composed of burning of fuel rods. However, the clear conclusion gained from reading the reports is that regardless of what was burning, the fuel rods were overheating, measured radiation showed an increase and radically changed procedures for people in a defined area around the NPP ie people had to stay indoors. The conclusion reasonably drawn from this is that there was immediate danger off site to people within a defined area…. There has been some speculation that, if the used fuel pool were completely drained, the zirconium cladding might ignite and a “zirconium fire” might occur. Studies performed by the Department of Energy indicate that it is virtually impossible to ignite zirconium tubing. Just today we were made aware of additional analysis that leads us to amend that view. Without getting into the details of how or when, we acknowledge the potential in certain circumstances and should by now have changed the fact sheet you reference. [b][i]Apologies[/i][/b] for not properly reflecting the latest scientific research in this area. Tuesday March 15, 2011, 18:10 hours. Headline “Explosion at No 4 Fukushima Reactor” MARK COLVIN: The Fukushima nuclear disaster has moved up the ladder from the third-worst civilian nuclear accident in history to the second, now behind only Chernobyl. With explosions at three of the plant’s reactors, [b][i][u]and now a fire in spent fuel at reactor number four[/u][/i][/b]; it’s now a good deal worse than the 1979 Three Mile Island disaster. The Japanese people were, to my eyes, calm. It was the nuclear industry which was in panic. In another article, the New York Times did provide information of great value. Information which few others, if any, provided at the same time. On 5 April 2011, the New York Times published a piece which cited a confidential NRC report on the events at Fukushima Diiachi. “United States government engineers sent to help with the crisis in Japan are warning that the troubled nuclear plant there is facing a wide array of fresh threats that could persist indefinitely, and that in some cases are expected to increase as a result of the very measures being taken to keep the plant stable, according to a confidential assessment prepared by the Nuclear Regulatory Commission. There are a number of people who maintain that there was no fire or fires in any of the spent fuel pools. The NRC maintained at the time that the spent fuel pool at reactor 4 was empty. The Japanese authorities deny this. However, The Japan Atomic Industry Forum reports that the water level in that fuel pool was low and that the fuel rods in the pool were overheating. I bear in mind the basic process of “fire” in a reactive metal. It is rapid oxidation which may or may not be accompanied by a flame. What defines a “fire” in an ordinary sense – the flame – may be totally absent or sporadically present in the case of a reactive metal. 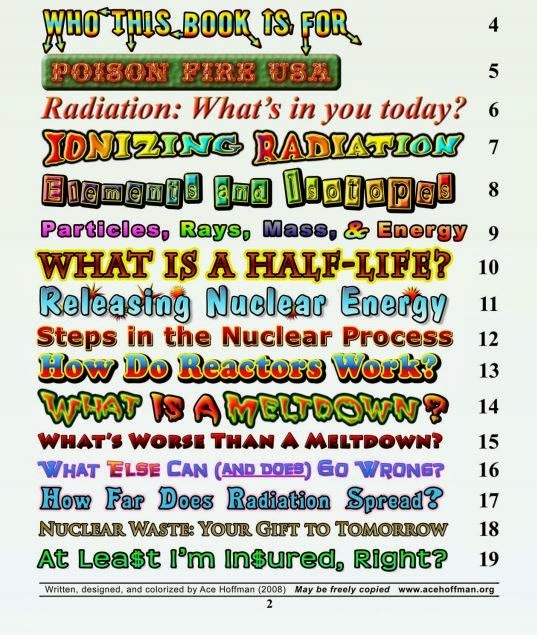 In the case of fuel rods two things are relevant: the integrity of the zircalloy cladding and the temperature of the zircalloy. For it is the temperature that seems to determine the point at which hydrogen is liberated from water and air and the rate it is liberated. The fuel rods were overheating in fuel pool 4 and hydrogen was being generated. What was the response of the Japanese governmental to the fires in the spent fuel pool 4 in March 2011? High levels of radiation leaked from a crippled nuclear plant in tsunami-ravaged northeastern Japan after a third reactor was rocked by an explosion Tuesday [b][i][u]and a fourth caught fire in a dramatic escalation of the 4-day-old catastrophe. [/u][/i][/b] The government warned 140,000 people nearby to stay indoors to avoid exposure. Tokyo also reported slightly elevated radiation levels, but officials said the increase was too small to threaten the 39 million people in and around the capital, about 170 miles away. area of the Unit 4 Nuclear Reactor Building had sustained damage. After usage, fuel is stored in a pool designated for spent fuel. “A new fire has broken out at the Fukushima Daiichi nuclear plant one day after the facility admitted a burst of radiation that left the government struggling to contain the spiralling crisis. “The plant’s operator says the fire occurred in the outer housing of that unit’s containment vessel – but it’s not clear what caused the fire. “Tokyo electric power said the new blaze erupted early Wednesday because the initial fire had not been fully extinguished, and firefighters were trying to put it out.” Associated Press. “At approximately 06:00 JST on 15 March, an explosion damaged the 4th floor rooftop area of the Unit 4 reactor as well as part of the adjacent Unit 3. The explosion is thought to be caused by the ignition of hydrogen that had accumulated near the spent fuel pond, the hydrogen was initially thought to have come from the stored fuel rods, but later, TEPCO believed the hydrogen came from Unit 3. Later reports from the US Nuclear Regulatory Commission speculated that fuel could have been ejected from the Unit 4 spent fuel pond during this explosion. Later on the morning of 15 March, at 09:40, the Unit 4 spent fuel pool caught fire, likely releasing radioactive contamination from the fuel stored there. TEPCO said workers extinguished the fire by 12:00. As radiation levels rose, some of the employees still at the plant were evacuated. On the morning of 15 March, Secretary Edano announced that according to the TEPCO, radiation dose equivalent rates measured from the Unit 4 reached 100 mSv/h. Edano said there was no continued release of “high radiation”. Japan’s nuclear safety agency NISA reported two holes, each 8 meters square, or 64 m² (690 sq ft), in a wall of the outer building of Unit 4 after the explosion. At 17:48 it was reported that water in the spent fuel pool might be boiling. By 21:13 on 15 March, radiation inside the Unit 4 control room prevented workers from staying there permanently. Seventy staff remained at the plant, while 800 had been evacuated. By 22:30, TEPCO was reportedly unable to pour water into the spent fuel pool. By 22:50, the company was considering using helicopters to drop water, but this was postponed because of concerns over safety and effectiveness, and the use of high-pressure fire hoses was considered instead. [b][i][u]A fire was discovered at 05:45 JST on 16 March in the northwest corner of the reactor building by a worker taking batteries to the central control room of Unit 4. [/u][/i][/b] This was reported to the authorities, but on further inspection at 06:15 no fire was found. Other reports stated that the fire was under control. At 11:57, TEPCO released a photograph showing “a large portion of the building’s outer wall has collapsed”. Technicians considered spraying boric acid on the building from a helicopter.” The source links to the piece are interesting. The Japan Atomic Industry Forum’s status report said the water was being supplied to make up for low levels. by World Nuclear News end quote. March 15, 2011 — Updated 0316 GMT (1116 HKT) Tokyo (CNN) — Japanese authorities trying to stave off meltdowns at an earthquake-damaged nuclear power plant reported more grim news Tuesday as radiation levels soared following another explosion at an overheating reactor. The Japan Atomic Industry Forum at http://www.jaif.or.jp/english/fukushima/plantstatus201103.html provides links to its “Reactor Status and Major Events Update – NPPs in Fukushima (Estimated by JAIF) March 2011”. Earliest date provided being Update Number 2, Tuesday March 15 2011 at 10.30 hours. This entry was posted in atomic, contamination, Fukushima on September 27, 2013 by citizenperth. A robot capable of operating underwater and lifting heavy objects is expected to work in areas of the Fukushima No. 1 nuclear plant that are still too dangerous for humans to enter. The robot, Sakura No. 2, was developed and produced by Mitsubishi Heavy Industries Ltd. (MHI) and the Chiba Institute of Technology (CIT) under a cooperation agreement announced on Sept. 25. Sakura No. 2 is 51 centimeters wide, 18 cm high and 104 cm long. It weighs about 48 kilograms, can carry equipment up to 50 kilograms, and its battery life is eight hours. “(This is) the world’s one and only robot that can move freely in a nuclear reactor building and even work in water,” Takayuki Furuta, director of the CIT’s Future Robotics Technology Center, said. Although no schedule has been announced, Furuta said Sakura No. 2 will likely be used in places of the wrecked nuclear reactor buildings at the Fukushima plant that are inaccessible to workers due to water leaks and high radiation levels. CIT independently developed the robot. Under the agreement, MHI manufactures and markets Sakura No. 2. The institute has provided unmanned robots, including Sakura, Rosemary and Quince No. 1 to 3, for reconstruction work since nuclear disaster started in March 2011. The earlier models were capable of going up and down stairs, and their cameras helped plant operator Tokyo Electric Power Co. learn what was happening inside a five-story nuclear reactor building. However, TEPCO also asked CIT if it could develop a robot that can be used in water and carry a heavy measuring device. The developer spent about a year to create Sakura No. 2.